As tens of millions of years passed, the sauropods and theropods grew ever larger. It seems that they were locked into an evolutionary size race – as the theropods became larger and more fierce, the sauropods grew bigger to counter any attack. 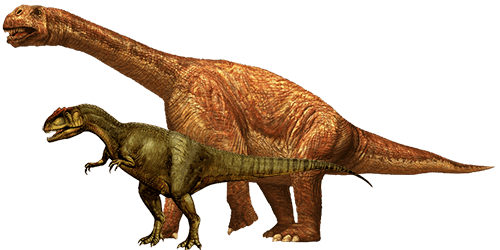 In the end, sauropods such as Camarasaurus dwarfed Allosaurus and the other theropods. Being massive, however, had its disadvantages, such as lack of speed. Meanwhile, other plant-eating dinosaurs developed alternative methods of defence, often growing too tough or too nimble for theropods to tackle. Were all the plant-eaters huge? Not all plant-eating dinosaurs became enormous in response to the threat of theropods. 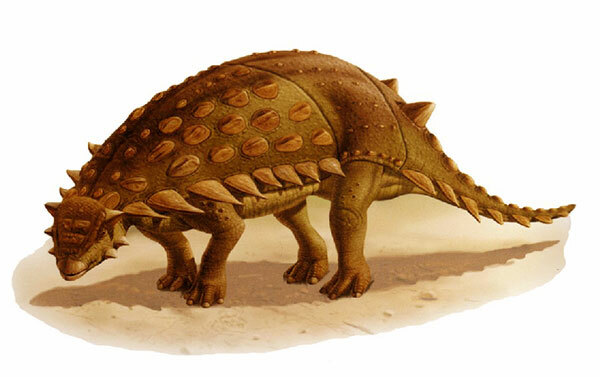 Gargoyleosaurus was 3-4m (10-13 ft) long, one of the smallest of the ankylosaur group. Although relatively small, Gargoyleosaurus was capable of surviving an attack by a theropod. Its vicious shoulder spikes and bony back plates would have made it tough meal. Did sauropods have extra-powerful hearts? Some experts think that the bigger sauropods, such as Brachiosaurus, may have needed large, powerful hears and super high blood pressure to pump blood around their massive bodies and up their necks to their brains. It is possible that they had hearts with four chambers, like humans and other mammals, rather than three chambers, like most reptiles. 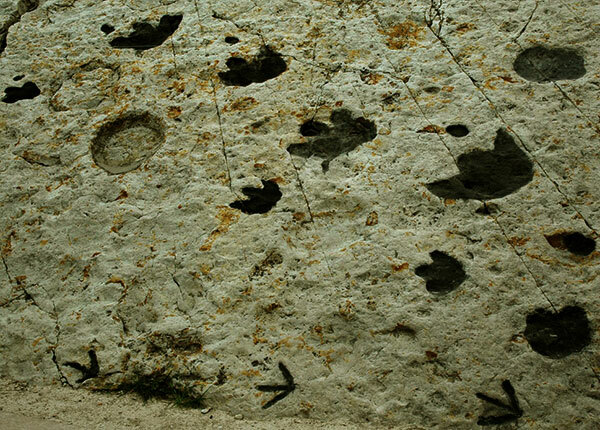 What do fossil footprints tell us? To estimate how fast a dinosaur moved, palaeontologists examine the anatomy of the animal and, where available, its footprints. They can work out its moving speed by measuring distance between the tracks – although footprints from a running dinosaur are quite rare. These Brontopodus tracks indicate that the large sauropods had a top speed of about 10kmh (6mph). How did sauropods carry their weight? Experts once thought that sauropods lived in water because they would have been too heavy to support their own weight. Today, they agree that sauropods were designed to carry their weight, just as elephants are. Their legs were as sturdy as pillars and their toes, which splayed out to spread the weight, were cushioned by big pads of flesh. A large fleshy heel helped support the weight. Could a plant-eater be quick on its feet? Not all plant-eaters were big or covered with body armour – some used their agility to escape danger. The ornithopod group of dinosaurs included lightly built animals such as Dryosaurus, which could run at high speeds. Like the theropods, Dryosaurus had a stiff tail for balancing as it sprinted on its hind legs. 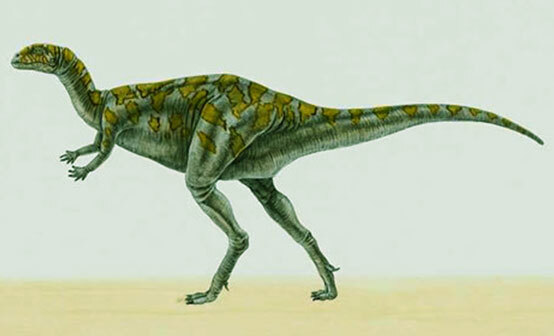 Could Saltasaurus rear up on its hind legs? The skeletons of Saltasaurus and some other sauropods suggest that they may have been able to rock back onto their hind legs and lift their front legs off the ground to reach foliage high up in the trees. 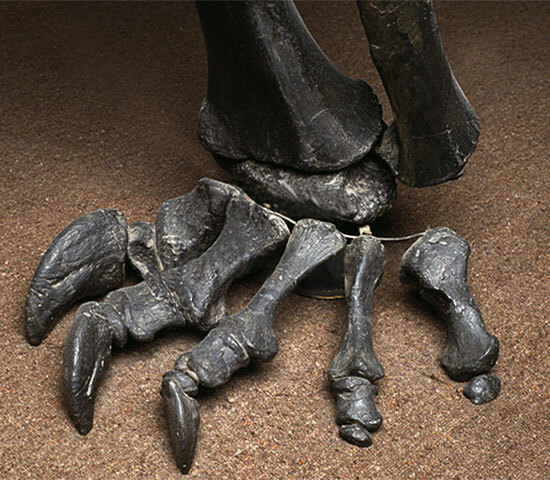 Slightly longer hind legs meant that the dinosaur’s weight could be shifted to the back of the animal. 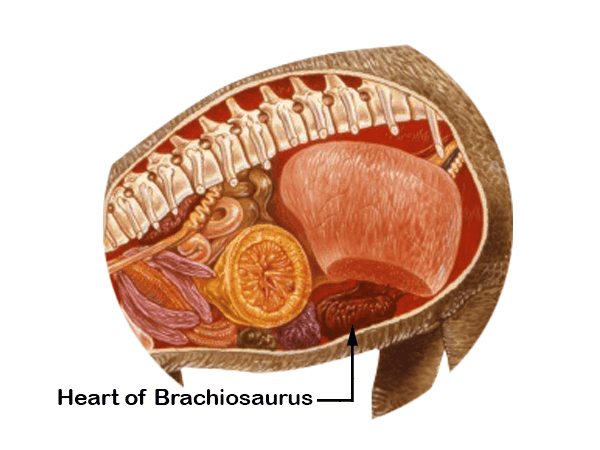 Once on its hind legs, the dinosaur’s centre of gravity was shifted to the back half of its huge body. The tail acted as a third leg, providing extra stability as the dinosaur balanced on its two hind legs.